As widely expected, Hunter Mill Supervisor Cathy Hudgins announced today that she would not seek re-election this year. Her departure will end two decades of service on the board, which she first joined in 1999. While Hudgins never faced a significant challenge for her seat, it was clear that her pro-development stance has created a wedge between her and many Restonians in recent years. Even ahead of her announcement, two other Democratic candidates had announced plans to challenge her for her seat--Shyamali Hauth and Parker Messick, who explicitly cites stopping "big development" as a goal. This happens as the Reston rezoning proposal she backs strongly -- against the opposition of virtually every organized Reston group -- goes before the Fairfax County Planning Commission tomorrow night. The complex -- and controversial -- proposed changes would essentially allow denser development beyond Reston's present and future Metro stations, particularly in and around the existing Village Centers. All of which wouldn't be awful, at least to us, except that the county's response to planning the infrastructure improvements needed to accommodate all this growth has been to (seriously) say that they "can't stop development waiting for roads to be built," which actually is, exactly, their job. But we digress. Despite the hamhandedness of the county's initial announcement -- which (again, seriously) said that planning for public input was "not an opportunity for public input" -- county officials have moved the time of the meeting up to accommodate what's expected to be a heavy turnout. They're right. The county initially called for input from community stakeholders, then abruptly announced it was done with that phase and preparing to move the proposal through the approval process. Tomorrow's public hearings before the planning commission, and then, before the county board of supervisors if it doesn't get shot down there, represent the last opportunities to slow or stop the rezoning changes. Hudgins has said that the increased density is essential to ensuring that Reston remains economically and socially diverse as it grows -- which is an admirable goal. However, the proposed (and approved) developments to date haven't exactly gone out of their way to support this goal, and overtaxed infrastructure will hurt everyone. Sadly, she's often lumped all critics together as NIMBYs, which we'd argue is not the case. Call us YIMBYBOWAIAFs (Yes In My Backyard But Only With Infrastructure And Appropriate Funding). Guess that doesn't quite roll off the tongue, does it? 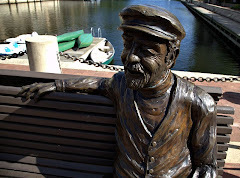 Like it or not Restonians have little say over how our community is being developed, and the elected official who should be watching out for us, our county supervisor, has retreated to a defensive posture. She frequently tells us “we just don’t understand” and has suggested that Reston, perhaps the most progressive community in Virginia, opposes the proposed increase in the density cap out of fear of “the other” sharing our neighborhoods. This is simply untrue. 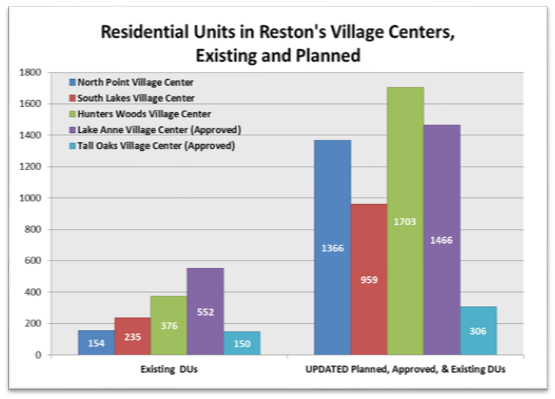 The community group Coalition for a Planned Reston proposed an increase in the required affordable housing levels for Reston–our supervisor did not support us. 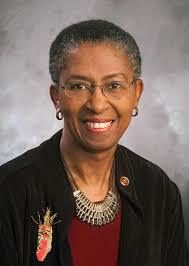 Supervisor Hudgins has done a lot of good work over her long tenure. I pray her positive legacy will survive the missteps she is now making because she is a very, very decent human being. That said, Wow!!! The tide of public support has radically shifted AWAY from her due to her stubbornness and short-sighted attitudes on the PRC Cap issue and increasing density on specific properties, another lesser known part of her proposal for the Reston zoning change. We will be having a new supervisor in Jan, '20. We just don't know who that is right now. The planning commission meeting will be held at 7pm tomorrow, Jan. 23, at the Fairfax County Government Center. Details here. The Reign of Terror - or would that be The Reign of Error? - mercifully comes to an end. Hudgins has reached such a heightened level of villainy that rumor has it that on her last day in office she's going to personally bulldoze both Reston golf courses and pave the Road to Nowhere. Honestly though, the thing I continue to not understand is that zoning special exceptions can already be made for a well-designed project, right? The county is sacrificing leverage it has in driving the development of a project in a way that is more beneficial to the community at large as well as weakening its position in negotiating additional resources from developers to handle the additional infrastructure impact their project. All for the sake of hoping that gets more companies to build more condos without enough parking spaces? "The evil men do lives after them. The good is oft' interred with their bones. So let it be with Hudgins." This final act of betrayal leaves a bad taste. I doubt there will be a subscription for a Hudgins statue.